Created by Leisure Select designers to match the transitional patio furniture currently found on the coasts of Italy and around the Mediterranean Sea, the Salina Bar Height Dining Collection offers a mix of classic designs and modern forms and materials. 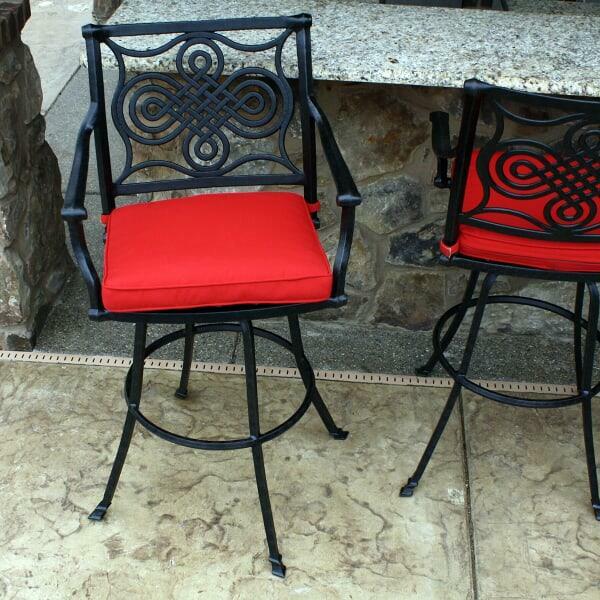 The backrests of the chairs feature a beautiful geometric pattern made from strong and durable cast aluminum. 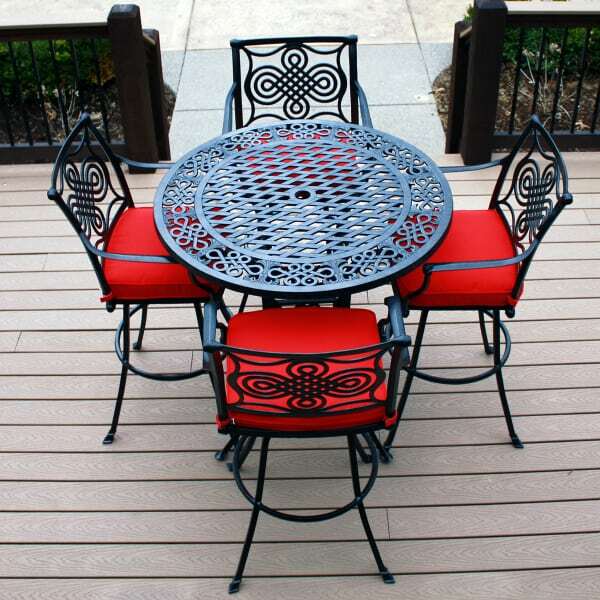 This material is loved by patio furniture manufacturers due to its ability to showcase traditional style, like old wrought iron patio furniture, while being more lightweight and longer lasting than these past examples made from iron. 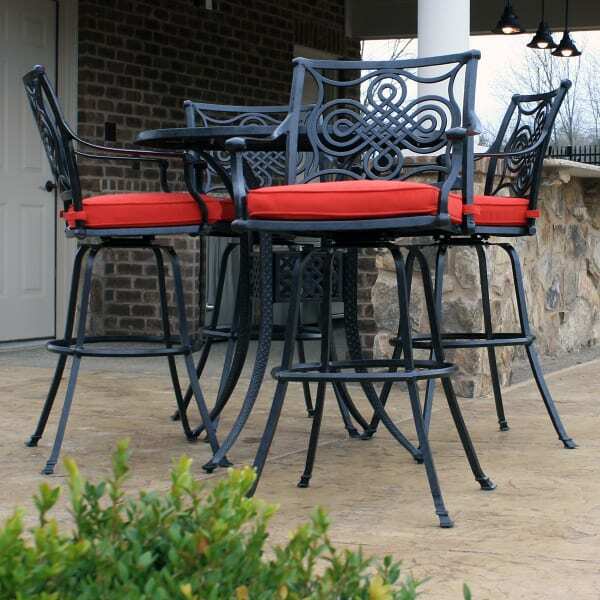 In fact, the frames are 100% cast aluminum, with no extruded metal parts, for a sturdy and solid construction that is covered by a ten-year Leisure Select warranty. 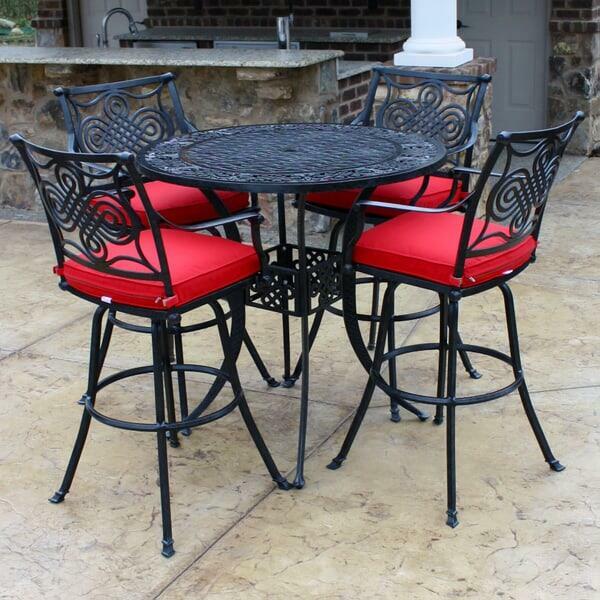 The island of Salina is located in the Tyrrhenian Sea north of Sicily, and this collection features a touch of brash Italian flair, with the bold Jockey Red cushions on a Raven powder-coated finish. 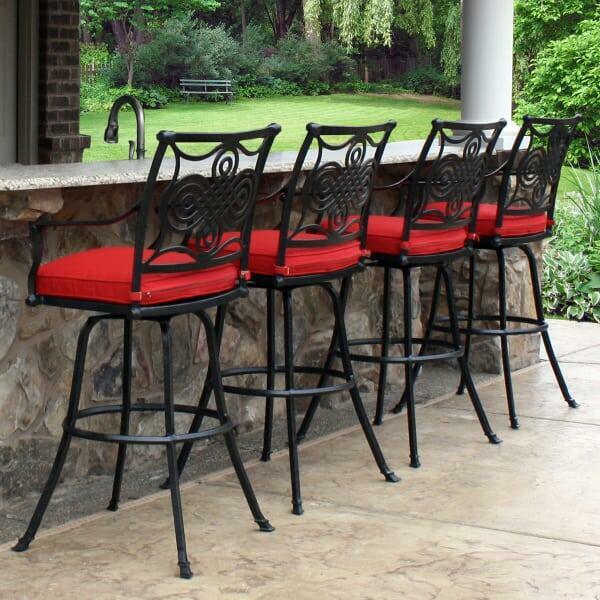 It's a confident look that will capture every eye that looks at your patio. 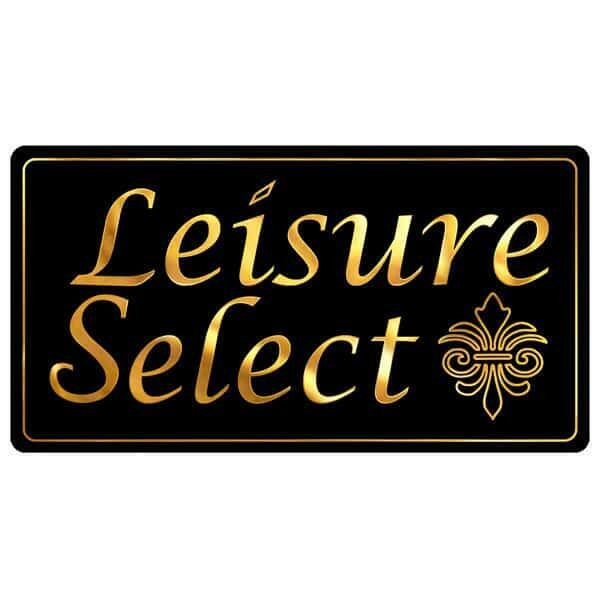 So present a forward-looking patio set that offers a dash of the traditional with the Salina Bar Height Dining Collection from Leisure Select!